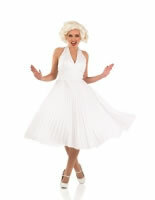 Our Adult Marilyn Monroe Costume features the Iconic White Satin Effect Halterneck Satin Dress. 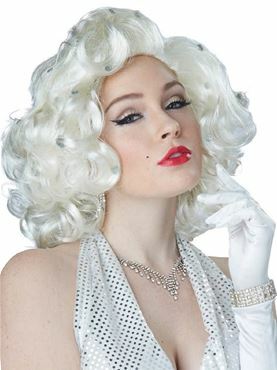 Just add our Marilyn Wig to complete - 42206. Small 8 - 10 34" - 36" 26" - 28" 52"
X Large 20 - 22 42" - 44" 34" - 36" 55"